A course is made up of one or more modules attached together. 1. Select on the Modules tab. 2. Click on the "New Course" link. 3. 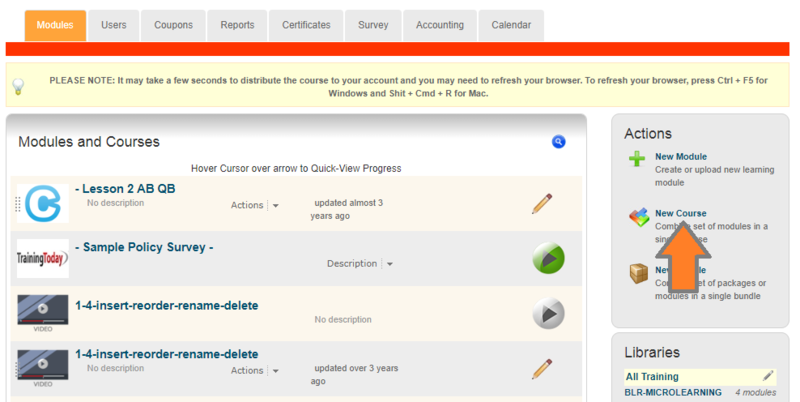 Change the Course Title, Then click the "Create Course" button. 4. 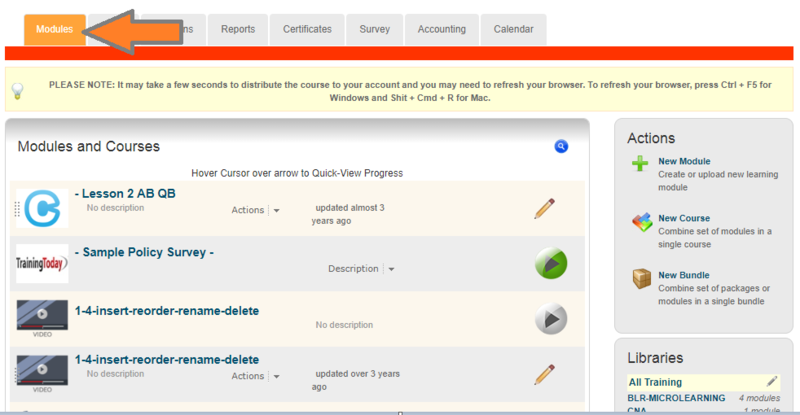 To add a cover page to your course, click on the "Choose File" button. 5. Select the file then Click on the "Upload an Image" Button. 6. Click "Use this Image" button.